Rest time is very important. 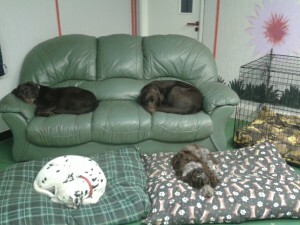 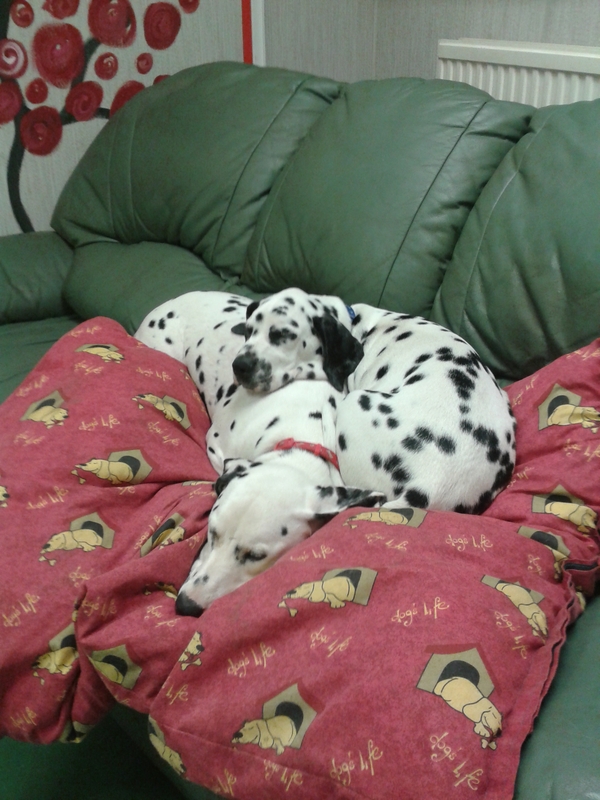 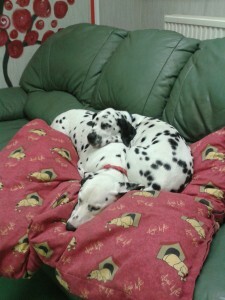 We have lots of large cushions and sofas for the dogs to have a snooze on. 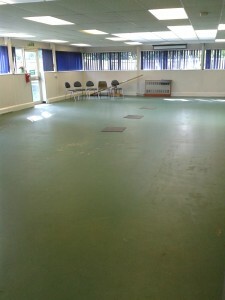 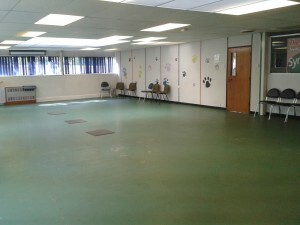 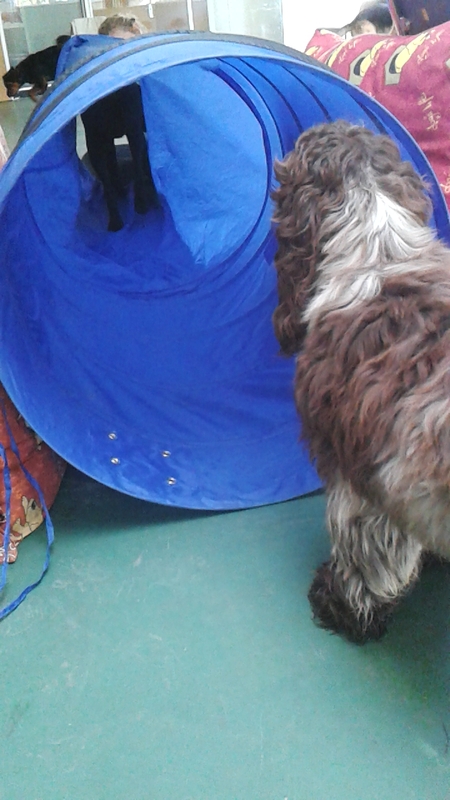 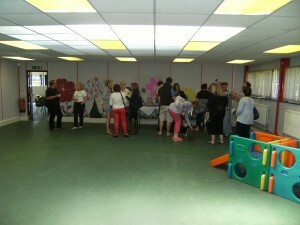 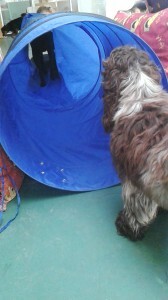 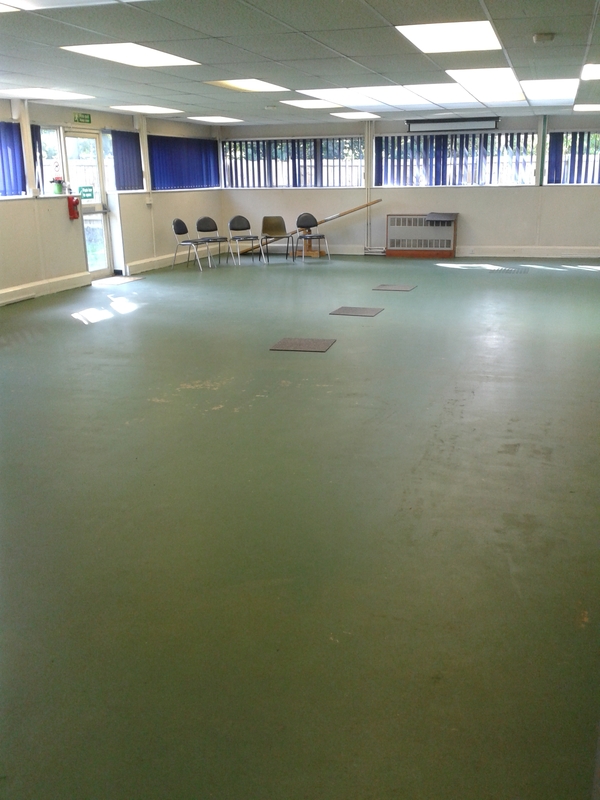 We have a large playroom, equiped with tyres and play equipment. 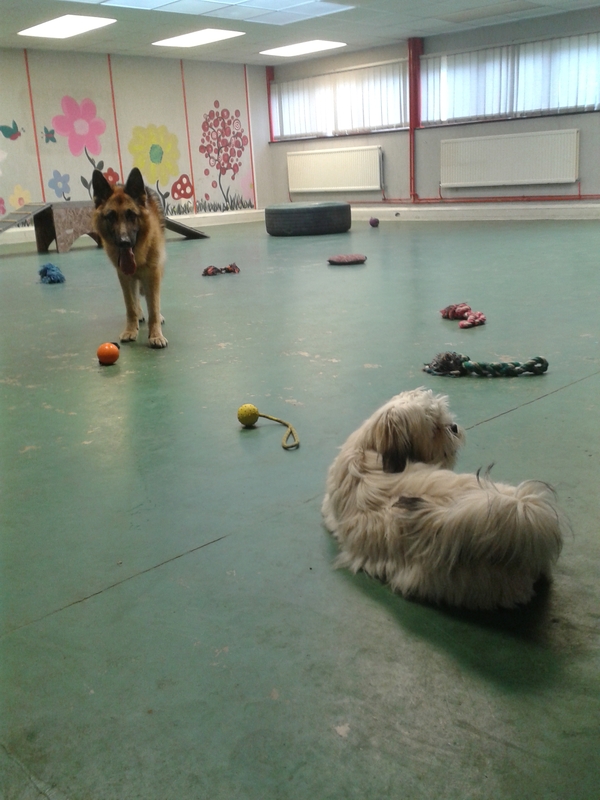 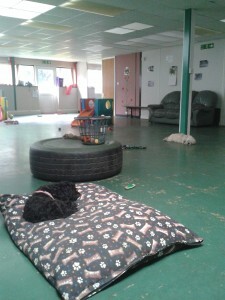 We have two sofas in the playroom, dogs that are not allowed on furniture at home are encouraged to sleep on the floor cushions. The playroom can be hired and used for various functions. 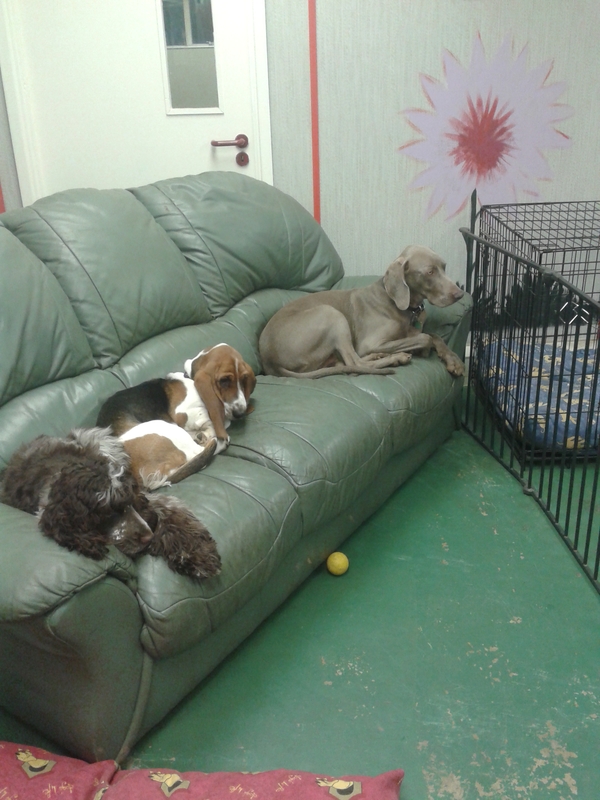 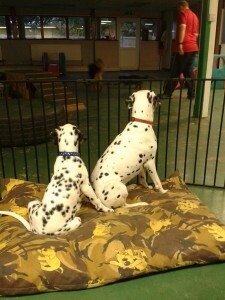 Gates are used on occasions to section off areas of the play room to allow certain dogs to rest. 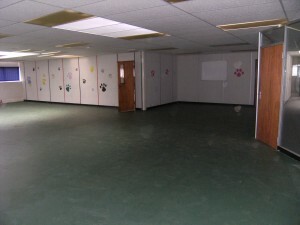 This is the training room. 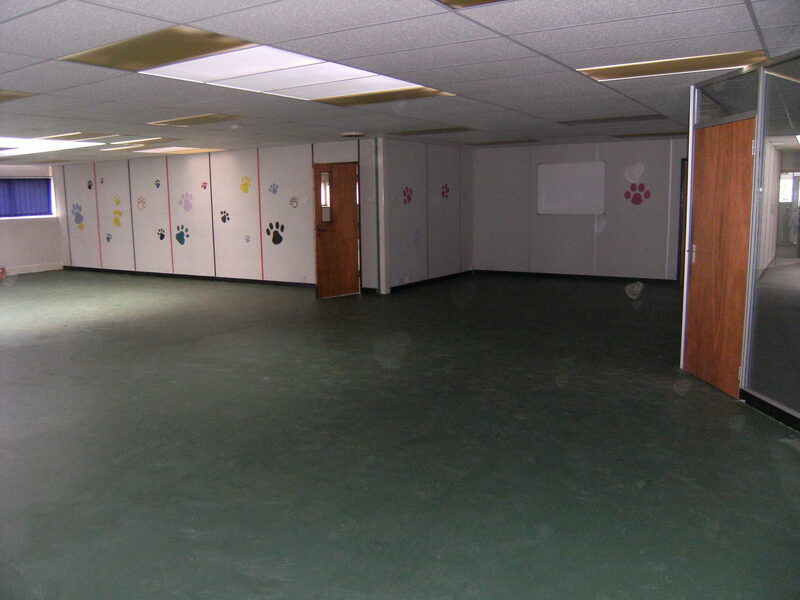 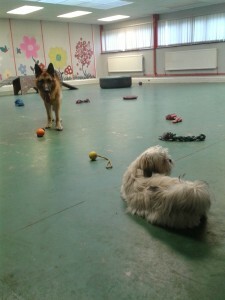 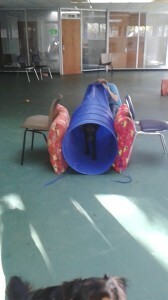 It is used for training session, Treibball, Rally, and by The K9 Project, It is also available to hire for your own use.